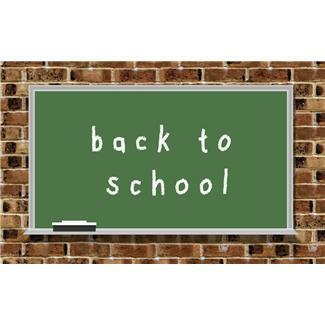 Question: It’s back to school time (hard to believe huh)? Where did the summer go? What did you like most about going back to school when you were a kid? My Answer: I always loved shopping for school supplies. There was something fun about getting all “new things” like new crayons, new pencils, a new notebook, new school clothes, etc. Back when I was in elementary school, we used to cover our old notebooks in sticky contact paper. It was always fun to go to the local five and dime store to pick out your new contact paper! That’s a memory I’ll never forget. I can’t imagine kids of today doing that but it was a big fad back in the 60s. I also LOVED to get colored notebook paper which was popular in the 60s and 70s. Not a lot of teachers liked it or allowed it though. This entry was posted in Monday's Question and tagged back to school, childhood, colored notebook paper, memories, new school year, school supplies, shopping for school supplies. Bookmark the permalink. Ah, me too! I got so excited to get my school supplies and was always itching to use them. I wasn’t allowed to have pretty notebooks or book covers, but I could at least pick the colours. And I loved choosing pencils and crayons and pencil cases and backpacks. Critical and exciting decisions, they were! Even now, I can’t help but get at least a new binder or something when the new school stuff is out. I was in a drugstore just the other day and I felt a twinge of sadness. I am in denial that my own two sons are already in college and we no longer get to go together to pick out new school supplies. I miss that. Those days seemed to just fly by so fast!